• The 3-credit Technology and Society requirement is waived. • 3 credits in each of the four Cognate Foundations areas (Arts, Humanities, Natural Science, Social Science) are waived. All other degree requirements for current students remain in effect for December 2014 graduation or later. These waivers are in addition to the previously granted waiver of BSC 101/301, for all students under the current Intellectual Foundations Program.  Intellectual Foundations (IF) is the general education curriculum at Buffalo State. It encompasses the SUNY General Education Requirements and is designed to provide the intellectual and creative foundations for all educated persons regardless of their chosen profession. Changes were made to the IF program in 2012. The original IF program is for students who enrolled fall 2006-spring 2014. The revised program is called Intellectual Foundations 2014 (IF 14). IF 14 is for new and transfer undergraduates entering SUNY Buffalo State during summer 2014 or fall 2014 and later. Please note: the Provost waivers granted to students, in the original IF program, do not place the students in the revised IF 14 program. An AA/AS does not waive IF 2014 requirements for transfer students. The core is already reduced with the one CORE SUNY minimum GETA approved class.